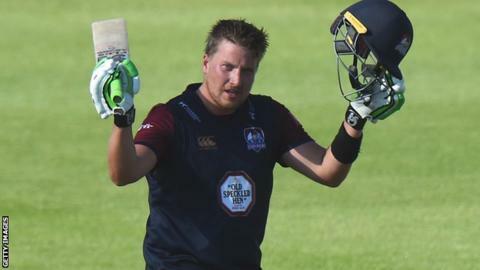 Northamptonshire batsman Josh Cobb has signed a one-year extension to his contract, and will now remain at the club until the end of the 2020 season. The 28-year-old, who bowls off-spin, joined from Leicestershire in 2015. "His white ball cricket has been outstanding since joining us, one of the most consistent in the country," head coach David Ripley said. "I know there is more consistency to come in red-ball cricket, where he can turn a game around very quickly."